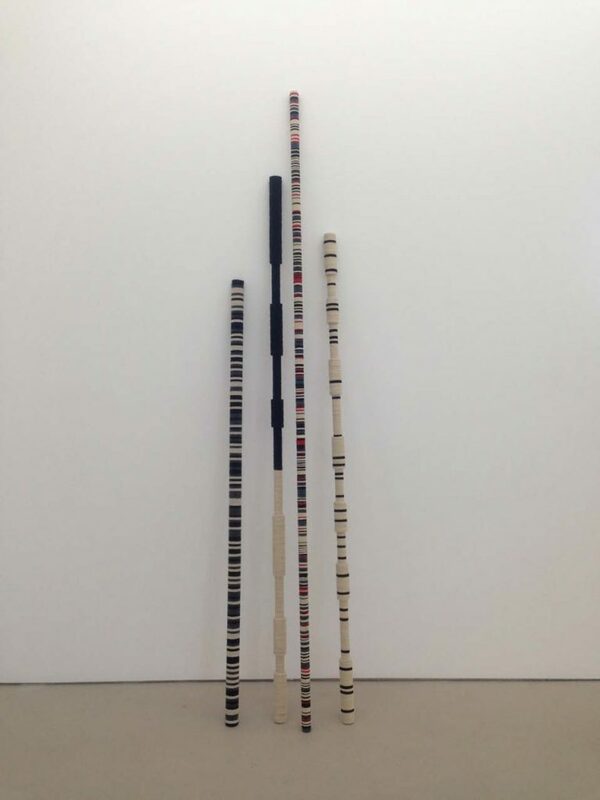 Peter Robinson is an artist whose work explores the various cross-sections between materiality, identity, and the indigenous. Many of his works utilize motifs found in Maori art, and his use of woodworking and felted wools often riff on culturally specific materials based in communal craft practices. His clean lines and deliberately restrained forms, though, could be easily placed alongside Minimalist sculpture and feel unselfconsciously modern. Robinson studied at the Ilam School of Fine Arts and has exhibited extensively throughout New Zealand. In 2001, his work was included in the exhibition bi-polar at the Venice Biennale.